London has long had a reputation as one of the world’s top colocation hotspots. As recently as February this year, it ranked first in Cloudscene’s global top ten – beating the likes of Amsterdam, Frankfurt and Washington DC. For some time, however, there’s been a trend for UK firms to either uproot from or expand outside of the capital and move their IT infrastructure further north as a way to cut costs without compromising on any service levels or capabilities. 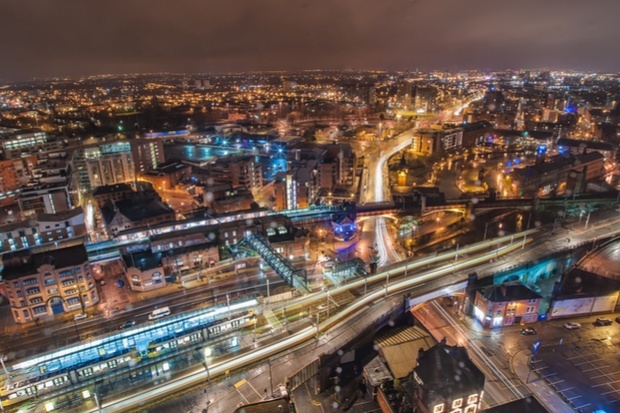 Many of them also choose to set up shop in Manchester, which has a strong and growing digital economy, and has received significant investment in data centres and network infrastructure over the past decade or so. But how much can companies actually save by making the move? And, if data centre renewal is on the cards for your business, should you join them? Here, we look at some of the ways the cost of a rack will vary between a Manchester data centre and a London one, as well as some of the indirect costs and considerations to bear in mind. Find out how much it'd cost to host your infrastructure in our south Manchester data centre - get a quote from TeleData today. Naturally, the cost of property, rents and rates are all much, much higher in the capital than in Manchester. This naturally creates a less competitive environment for colocation customers as very few independent providers can viably afford to invest in a high quality data centre operation, with reasonable scale, in central London. If you want a prime location, Docklands data centre, you don’t have much choice other than to go through one of the big-name, well-established global providers. There are also a number of indirect costs to consider when weighing up the cost of data centre space in Manchester versus London. Take travel, for example – if you choose to work with a London data centre on the outskirts of the city, you can expect to spend a lot of potentially unproductive time getting to and from the facility. Manchester, in comparison, is more compact and easier (from a time and hassle point of view) to navigate. Consider salaries and the cost of living, too. Manchester Digital’s excellent RelocateMCR report offers some striking figures on the cost of travelling, renting, eating and drinking in the city, and how they compare to the capital. Finally, firms that rely on data centres in London may be faced with limited space for expansion as facilities reach near full capacity. For businesses looking to grow in the future, a lack of available rack space could be a serious drawback. There’s also the issue of more competition for power in the capital – developers have little incentive to build data centres when the same infrastructure could underpin luxury housing developments, for example, or sites earmarked for high levels of employment generation. Get more data centre buying advice in our free guide. Manchester’s data centre market is maturing fast, spurred on by major investments in supporting infrastructure – such as fibre networks and transport links – and incubation for technology-focused startups. Even so, you can’t just assume you’ll get a good deal from a Manchester data centre – you still need to be savvy to get the most for your money. For example, even with a lower cost per rack, you still need to look at the availability and cost of skills and support in Manchester. You need to assess how much the move itself will cost, the steps you need to take to ensure consistent levels of service and support, and more. This all may vary wildly from one Manchester data centre to another. You also need to be aware the Manchester data centre market is very different to London’s. With careful selection, you don’t need to compromise on quality or location to use an independent data centre. It’s therefore worth getting to know the local scene rather than going directly to a big-name provider, which may not be much cheaper than in London and with no guarantee of a better quality service.